We, the undersigned members of the Sport for Rights coalition, are writing to you in advance of the Baku European Grand Prix in June to provide details on Azerbaijan’s deeply troubling human rights record and steps that we believe Formula One Group can take to ensure its compliance with its human rights responsibilities. 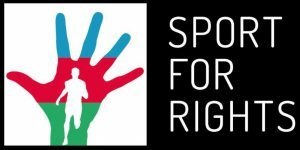 Sport for Rights is a coalition of international non-governmental organisations working together to promote human rights in Azerbaijan. As Azerbaijan hosts and bids to host international sporting events, with the media spotlight, prestige, and reputational boost that those events can bring to a host country, we are consistently calling on international sporting organisations and others to take meaningful action consistent with their human rights responsibilities as well as use the opportunity of sporting events to press for better human rights protections. In the run-up to the European Grand Prix in Baku, the Azerbaijani authorities have continued with their human rights crackdown to silence critical voices. We urge you to use the European Grand Prix as an opportunity to speak out against the crackdown and call for the release of jailed journalists and activists. Formula One Group states that it “is committed to respecting internationally recognised human rights in its operations globally”. The policy also states that Formula One Group will take steps to “understand and monitor through our due diligence processes the potential human rights impacts of our activities”, “identify and assess, by conducting due diligence where appropriate, any actual or potential adverse human rights impacts with which we may be involved”, “consider practical responses to any issues raised as a result of our due diligence”, and “engage in meaningful consultation with relevant stakeholders in relation to any issues raised as a result of our due diligence”. Sport for Rights welcomes this explicit acknowledgement and statement of Formula One Group’s human rights responsibilities. As you will be aware the United Nations Guiding Principles on Business and Human Rights (Ruggie Principles) and the Organisation for Economic Cooperation and Development (OECD) Guidelines for Multinational Enterprises, issued in 2011 both provide that entities such as Formula One Group bear responsibilities to carry out effective human rights due diligence, to avoid contributing to adverse human rights impacts and to address any that arise. · Arrested or imprisoned dozens of human rights defenders, journalists, bloggers, youth activists, politicians and others on politically motivated charges, prompting others to flee the country or go into hiding. · Frozen the bank accounts and sealed the offices of NGO leaders targeted in the crackdown, forcing these NGOs to stop operations function. · Launched a spurious, overbroad, two-year criminal investigation implicating foreign donors and dozens of their grantees, forcing the donors to stop their crucial support to independent civil society. · Adopted legislative amendments and regulations on non-governmental organisations that severely and groundlessly interfere with organisations’ ability to operate, including by restricting access to international funding. Recently, the authorities have taken some positive, but limited steps. In March 2016, the authorities pardoned or conditionally released at least 16 human rights defenders, activists, and journalists imprisoned on politically motivated charges.In April 2016, the government also finally allowed leading activist, Leyla Yunus, and her husband, Arif Yunus, to travel abroad for medical treatment. The Yunuses had earlier been released on suspended sentences from prison, where their fragile health conditions had deteriorated precipitously since their arrests on politically motivated charges in 2014, charges levied in retaliation for their activism. However, many outstanding, extremely serious concerns remain, and the crackdown on independent voices has not ended. · Ilkin Rustemzade, blogger and youth activist. On 30 March 2016, authorities detained 79-year-old writer Akram Aylisli at the Baku airport for 12 hours, questioned him, and prevented him from traveling. Authorities later charged him with violently resisting authorities, and he faces up to three years’ imprisonment if convicted. On 20 April 2016, the Azerbaijani authorities opened a criminal investigation against Meydan TV, a leading independent online broadcast news outlet, only able to operate out of Germany, with correspondents and other staff based in Azerbaijan. The Azerbaijani prosecutor’s office named 15 journalists in the investigation, at least seven of whom remain in the country under travel bans, and face the threat of politically motivated trials and imprisonment. In addition, the Azerbaijani government has not committed to amending the restrictive legislation regulating NGOs and NGO funding. In December 2015, the Ministry of Justice adopted new regulations granting the ministry nearly uninhibited powers to conduct inspections at non-governmental organisations. In light of this deeply troubling human rights situation, we encourage you to use your prominent role within Formula One racing to guarantee a positive legacy from the European Grand Prix in Baku and ensure that the race is not stained by severe violations of press freedom and human rights. · Insist that the authorities guarantee that all international and Azerbaijani journalists and bloggers can operate without interference in advance of and during the European Grand Prix in Baku while covering a range of topics. During the 2015 European Games in Baku, the government interfered with the entry of several leading international journalists, including those accredited to cover the games, without penalty or consequences, sending a very troubling signal that such actions are acceptable for hosts of international sporting events. In addition, we would welcome more information on and strongly encourage Formula One Group to publicly disclose the responsible parties, timeline, terms, specific actions, indicators, and outcomes of its due diligence procedure undertaken in relation to the European Grand Prix in Baku, including information on consultation with stakeholders, in line with the UN Guiding Principles on Business and Human Rights requirements and their call for transparency as an essential element of meaningful due diligence. Finally, representatives from the Sports for Rights coalition would welcome the opportunity to meet you in the coming weeks to discuss these issues in more detail.